The Germans are at it again and this time for dominance in the entry luxury SUV space. The Mercedes-Benz GLA has got off to a fairly good start, the current BMW X1 still lags but the one that still attracts the most attention is clearly the Audi Q3. And so a facelift of this bestseller is equally exciting as it looks to boost the Q3's capabilities in equipment and design and help Audi stay in the numero uno position. Goa did welcome us with cloudy skies as we landed and started the drive but that good fortune didn't last long as the heavens opened with a vengeance. But the bright spot was that Q3's Quattro handling was put to the test on the wet roads. We'll get to the driving dynamics in just a bit but let's start with the design of the facelifted model especially the front fascia that gets a mini makeover. 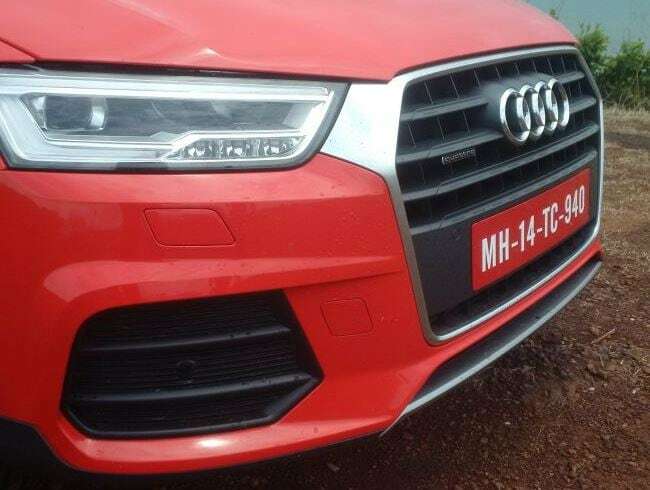 It's a more angular face with the sleeker headlamps with LED daytime running lights uniquely designed for the Q3. We do like the chrome touch that connects the single frame grille to the headlamps. It does add a bit of oomph to the front design. The new 17-inch alloys have a fresh design that we like and the side skirts get some cladding for a sporty appeal. The rear sees the LED touch in the tail lights and the dynamic turn indicators you see only in the A8 and R8 do add appeal. Clearly the folks at Audi have paid quite some attention to giving the Q3 a more premium feel and retaining it's SUV character. As we entered the spacious cabin, you notice that the wood finish in the outgoing model gives way to the aluminium and chrome finish on the dash and the controls; quite a premium feel to it. The Audi MMI system is now updated with navigation and a rear view camera that we found really useful when parking. The infotainment system gets a 20 GB inbult system, 2 SD card slots in addition to Bluetooth. Other goodies include LED interior lighting package, power-adjustable front seats and the list is now longer than before. Don't forget those new paddle shifters that make an appearance on the Q3's steering wheel for that sporty touch. We didn't open the panoramic sunroof thanks to the heavy downpour but we do hope this comes standard across Q3 variants. 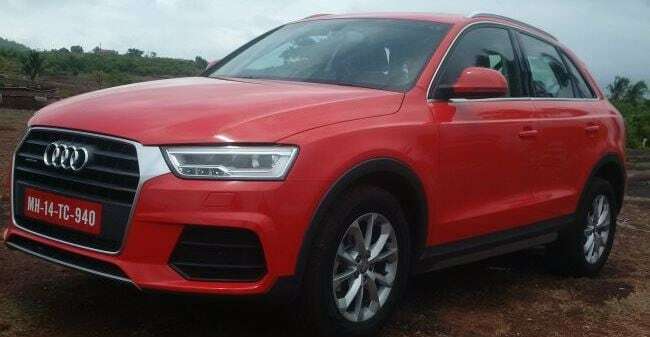 So yes, the Q3 facelift has moved up the ladder in not just being more premium but now with goodies that we want. If ain't wrong, why fix it? That's probably why Audi has stuck to the tried and tested 2.0 litre diesel engine that is quite popular on Indian roads. With 174 bhp on offer and a generous 280 NM of torque, the 35 TDI engine does feel refined and packs a punch in the Dynamic driving mode. Add the smooth 7-speed S-tronic transmission and the paddle shifters, this SUV shows you it's fun side. The steering is a bit too light for our liking even in dynamic mode and that did bother. 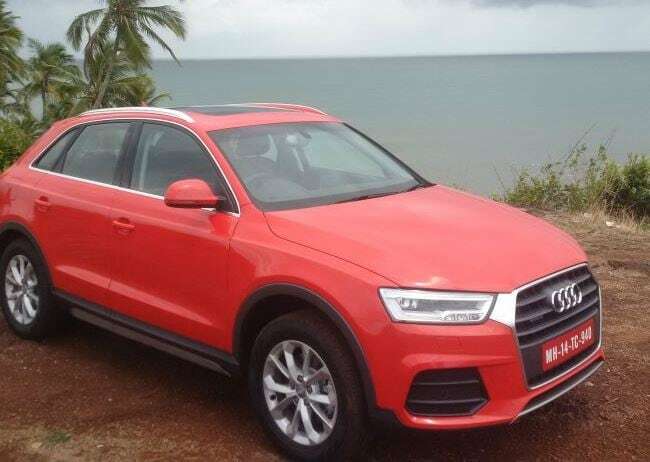 But one of the main reasons for the Q3 to do so well in India was how well the all-wheel-drive Quattro with the rough road suspension setup deals with poor road conditions in our cities. Just as you grit your teeth over a large pothole expecting to hear a loud thud from the chassis, the SUV manages to let you breathe easy with a fairly smooth ride. You can also choose from Audi's drive select to suit your driving style from Comfort, Auto and Dynamic. Take our advise, stay on Dynamic if you are driving behind the wheel and you wont be disappointed with the Q3's driving dynamics. 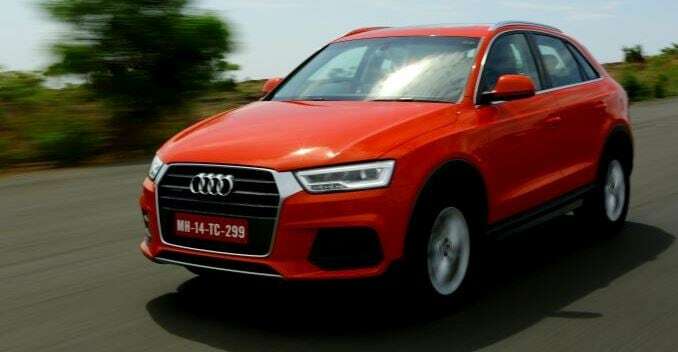 Audi India is looking to reduce the number of Q3 variants in the market with the new facelifted model but the Q3 S will definitely stay thanks to it's popularity. Three new shades of Red, Blue and Brown will be on offer but quite a shame, India doesn't see the mango yellow shade that we loved when we saw it at the global unveil. Expect similar pricing to the current outgoing model but the Q3 top-end trims with more goodies will come at a higher price. Till the new BMW X1 arrives and the Mercedes-Benz GLA gets a bit more traction, Audi can breathe easy as we do expect the new Q3 to outdo it's predecessor.